Congratulations on your decision to start working in the food services industry! You are entering a field that is in high demand, so your chances of getting a job are more than excellent! Food handler card requirements vary from state to state (and often county by county). Therefore, it’s important to have access to quick, easy and accurate information. 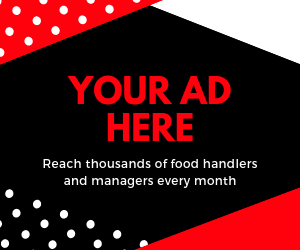 Please select your state below to find out whether or not your state or county requires you to have a food handlers card, and if so, where exactly to attain the appropriate food handlers training. What is a Food Handlers Card? A food handlers card (also known as a food handlers permit, certification, or license), at its most basic definition, is an official document proving that someone has received proper food safety training. Employees in the U.S. restaurant industry use their food handlers card to show health inspectors (and employers) that they have successfully completed a state-approved food safety course, and that they have a basic understanding of food safety procedures. Some U.S. states and local jurisdictions require that ALL employees at registered food establishments must receive a food handlers card, while other states and jurisdictions don’t have such requirement. Food handlers are primarily employees that work in a kitchen or assist in food-related services. Chefs, line-cooks, and food preparers are your usual “food handler.” But in some jurisdictions, food handlers can be considered front and back house works, even the dishwashers! What are the benefits of having a Food Handlers Card? Successfully earning a food handlers card poses great benefits for you, your employers, and customers alike. A food handlers card shows that you have a basic understanding of food safety procedures. An even though it’s an entry level assessment, the certification proves that you know much more about food than your average person! The primary benefit of earning a food handlers card is that it can help you land a job you want, quickly. Weather it’s required in your local jurisdiction or not, almost all kitchen managers and head chefs will highly appreciate those that apply with such certification. Simply put, when you can add a food handlers card to your resume, it puts you in a better spot than your competition (or others that are applying to the same job). Just imagine yourself as an employer. Would you rather hire someone that has a state-approved food handler certification… or rather someone that doesn’t, where you may have to teach them the basics yourself – or even worse, run the risk of dealing with improper and/or hazardous food preparations? It’s a no-brainer! From a customer point of view, you will always feel more comfortable consuming food from somebody that knows what they are doing versus someone who has no basic food understanding at all. As consumers ourselves, we’ve almost all been in that sticky situation where you don’t even feel comfortable eating what you just ordered. Cooks with a food handlers card under their belt are less likely to receive such impression from their customers. This is why some of the finest restaurants in the U.S. makes everyone on staff obtain a license. It makes you look better from the eyes of consumers and health inspectors. In general, weather it’s required or not by your state or local jurisdiction, earning a food handlers card is a HUGE and under-looked benefit to you and those around you. To avoid any confusion, let’s explain the differences between a food handlers card and a food managers certification. Both certifications are available through numerous online courses… and just about every kitchen in the U.S. will have one person on staff with either or. The simplest way to look at it, is that a food handlers card are for generic kitchen employees while Food Managers Certifications are for supervisors, head chefs, shift-leads, and managers. Just about every state in the U.S. requires that at least one person on-premises MUST obtain a Food Managers Certification. Most states don’t have this requirement for the Food Handlers Card because it’s just an entry level assessment. However, some states do indeed require that (1) every food-related employee has a Food Handlers Card and (2) that AT LEAST one person on staff obtains a Food Managers Certification. Below are the definitions of both Food Handlers Card and Food Managers Certification. This should help you get a better idea on the differences. Food Handlers Card: The Food Handlers Card, also known as the food handlers permit or food handlers license, is a certificate proving to health inspectors and employers alike that someone is qualified to handle unpackaged foods that served to the general public. The course and assessment is designed for food preparers, food servers and other frontline staff. It’s an entry-level certification… and fairly easy to pass. Food Handler Cards can cost anywhere between $5-$25, depending on your county or course provider. Food Managers Certification: The Food Manager Certification, also known as the Certified Food Protection Manager (CFPM) card, is primarily designed for managers, head chefs, and other persons-in-charge. The Food Managers Certification verifies that one has an advanced knowledge of food safety… and are training well enough to pass down proper food safety procedures to the rest of the workplace. Food Manager Certificates usually expire every five (5) years. When Must a Food Handler Wash Their Hands?